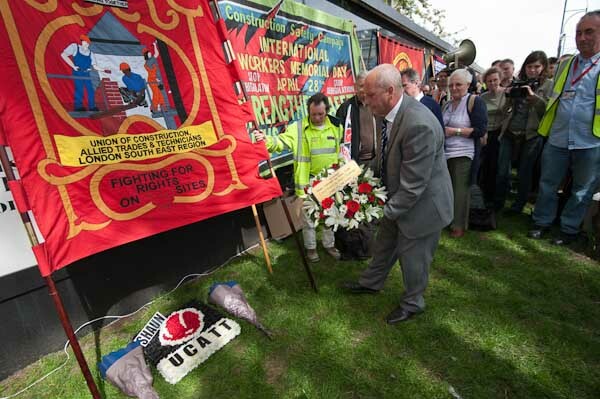 This was the first year that the UK government had recognised International Workers Memorial Day, which has been marked here for a number of years, largely due to the efforts of the Construction Safety Campaign. I’ve photographed it because it highlights a very important issue, workplace safety. 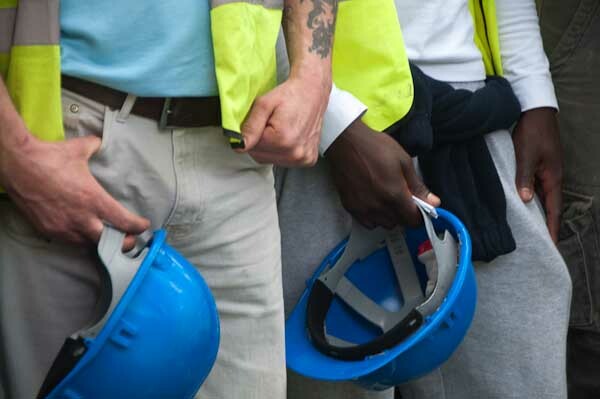 Despite a much greater emphasis on Health and Safety (and it’s too often used as an excuse for organisations not doing things they don’t really want to do, which brings it into disrepute) we still have far too many workplace injuries and deaths. We shouldn’t really call them accidents, since most are not really that, but the predictable consequences of management not taking proper precautions or insisting that workers do tasks without proper training or equipment or supervision. Accidents at work generally don’t happen, most are caused, and the people causing them almost always escape prosecution. There are over a thousand building sites in London and only 28 HSE inspectors to cover them. 90% of reported accidents are not even investigated because there just isn’t the staff to do so. And when people are actually taken to court and convicted for offences that have led to the death and injury of workers, sentences are often derisory. Management know that they can get away with it, and when they face fines over completion dates or costs are running high, safety is something that can be compromised. I found this event with its large crowd of workers standing unusually quiet in memory of their two dead colleagues a moving one, and at times it was hard to photograph. Fortunately technically it was mainly straightforward, but there were pictures that I didn’t quite see as clearly as I might have. 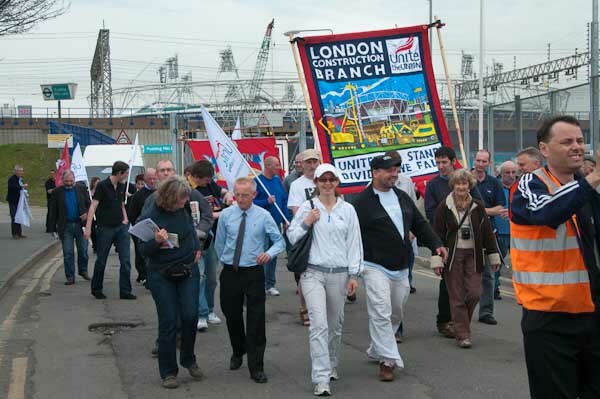 which does have the advantage of having the stadium twice, once on the banner of the London Construction Branch of Unite. It’s a pity this was some way back in the march, and I would have liked to have got a rather more clever image of it with the stadium. So far, this is the only picture that has got used, other than in my postings to Demotix and elsewhere, but you can see the set of them on My London Diary. This entry was posted on Tuesday, May 11th, 2010 at 09:11 pm and is filed under My Own Work, Political Issues. You can follow any responses to this entry through the RSS 2.0 feed. You can leave a response, or trackback from your own site.